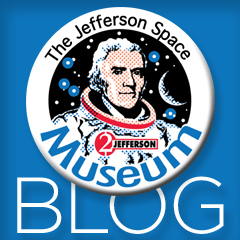 Noted collector and paper money blogger Tom Chao wrote about the new Jefferson Space Museum on his blog site. You can see the post by clicking here. Tom's blog is great! If you are at all interested in Paper money, you really need to check it out. Also his famous world paper money gallery, which can be found here. Thanks for the blog post, Tom!